The Cottagers are under new ownership, but how will that affect their results? We will be rating each position in their squad with old-school letters, A for good, F for bad. 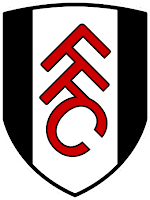 Fulham really struggled last season and lacked creativity after losing midfield duo Mousa Dembele and Clint Dempsey to London rivals Tottenham. They were dragged into the biggest ever relegation battle, consisting of ten teams at one point, and struggled to challenge for a top 8 finish. Long standing veteran goalkeeper Mark Schwarzer has finally left after five great years at the Cottage. This means that David Stockdale is now the senior goalkeeper at Fulham. The London outfit really leaked goals last year and Brede Hangeland did not show why he is the best at Craven Cottage. Fernando Amorebieta may be able to help him though, he is a very, very good centre back, especially on a free. Midfield is probably the most influential part of this team, even though Clint Dempsey and Mousa Dembele have left, Alexandar Kacaniklic, Steve Sidwell and Keiran Richardson are doing brilliant to fill the hole made by them. Up front, there is few choice but all are very capable of beating a defence or two. We all know about what Bulgarian beast Dimitar Berbatov can do, Hugo Rodallega scored time and time again for Wigan in his relegation fights, and Bryan Ruiz is probably the best of the bunch, he is a creative yet lethal striker who is yet to prove it in the Premier League, and this is probably the year. The Cottagers may have new ownership this season, but they will always be the side that trumped Juventus 4-1, and reached the Europa League final. This might be a change too quick though, and they will settle nicely in mid table. PREVIEW of Fulham for the 2013/14 season of the Barclays Premier League.